The people of Anaheim Hills have enjoyed Superior Cleaning and Restorations Inc.’s carpet cleaning services for years. Our experts use extraction units that are truck mounted hot water and couple it with industry-leading cleaning products that are also eco-friendly. Our methods of cleaning are recommended by the top Carpet Manufacturers in the country. Our experts can handle small and large jobs including minor stain removal, or a major remediation process. Superior Cleaning and Restoration Inc. make sure that the job is done right the first time and that your satisfaction is guaranteed. Major health issues can arise due to the occurrence of moss and mildew. 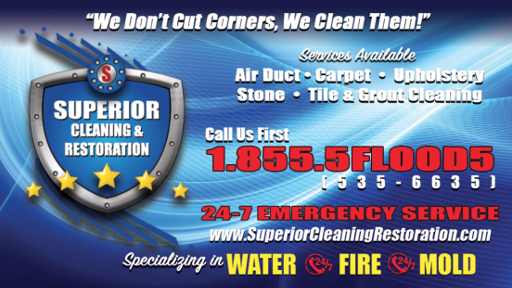 Superior Cleaning and Restoration Inc. can assist you with whatever prevention or remediation services you may require. To maintain a healthy lifestyle and ensure that your family stays safe, you must take active steps toward the prevention of bacteria, odor, moss and mildew that might plague your house. Another product offered by our experts is Teflon Carpet Protector, which can assist you in reducing wear and tear in areas that witness heavy traffic, and also protect your precious rugs and carpets against, spill stains, dirt, pet, stains, grease and oil stains. Our experienced staff is here to assist you at every step along the way, with any queries that you might have and assistance that you may need. Feel free to call us up anytime, we will be glad to be of service. And always keep in mind that if it’s Superior Cleaning that you are looking for then Superior Cleaning and Restoration Inc. is the best that you can get.